The DR NEON Pack of 4-String Bass Strings Red Neon is a pack of medium gauge handmade bass guitar strings. 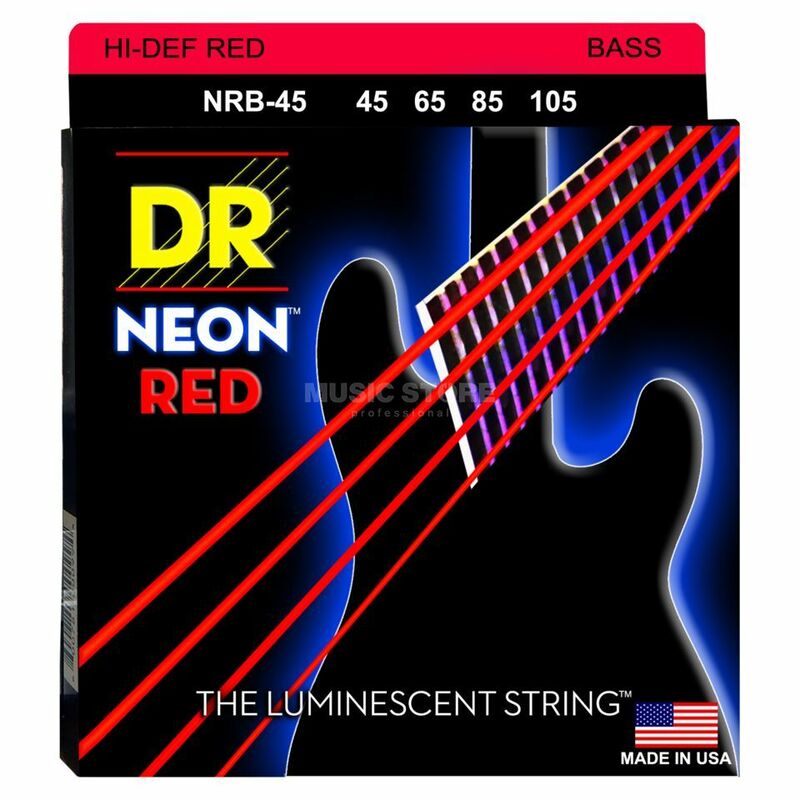 DR NEONs™ are super bright color coated strings that sound clear, bright and musical. Players love the bright NEON™ colors and their remarkable sound. Super bright in daylight and under stage lighting, DR NEON™ is 100% black light reactive and glow strongly under UV lighting.